Sen. Kamala Harris is making inroads with elected officials and leaders in South Carolina ahead of her fourth visit to the crucial early-voting state this week — snagging the much-sought endorsement of former state Rep. Bakari Sellers on Monday. Sellers, who is from Denmark, S.C., will campaign with Harris and formally announce his support for the California Democrat during a Saturday town hall at South Carolina State University in Orangeburg. She is returning to the state on Friday for a town hall at Winthrop University in Rock Hill. 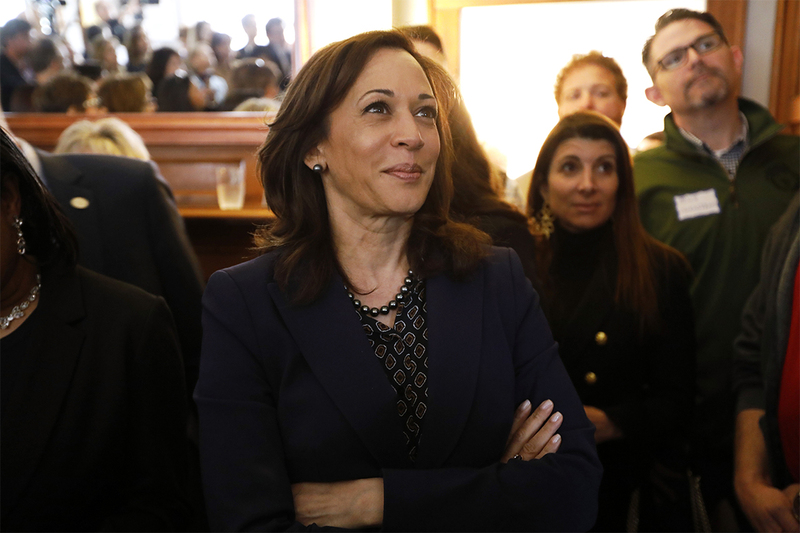 Harris has made early investments in the state given its central role in her fight for the nomination. Ahead of her presidential announcement — and before she and top surrogates began holding events across the state — Harris attended a gala for the nation’s oldest black sorority, Alpha Kappa Alpha Sorority, Inc.
Nearly 4 in 10 voters in the last presidential primary in the state were black women — and Harris has been working to lock down local endorsements, including from state Rep. Pat Henegan of Marlboro; Berkeley County Democratic Party Chair Melissa Watson and Marguerite Willis of Florence, an attorney and former gubernatorial candidate. Sellers, who is joining state Sen. Darrell Jackson, Rep. JA Moore and the others as a co-chair for Harris’ South Carolina campaign, touted Harris’ focus on rural communities, and her early platform centered on raising teacher pay, addressing the maternity mortality crisis and supporting historically black colleges and universities. Competition for South Carolina surrogates is heating up. New Jersey Sen. Cory Booker was the first 2020 Democrat to win a state legislative endorsement there, from Rep. John King, who cited his experience fighting corruption as Newark mayor. Charleston County Democratic Party Chair Brady Quirk-Garvan stepped down from that post and endorsed Booker. On Saturday, Rep. Marvin Pendarvis endorsed former Texas Rep. Beto O’Rourke at an event outside Charleston. South Carolina is getting another crush of candidates this week, including Vermont Sen. Bernie Sanders, who will appear at a Thursday town hall meeting in Spartanburg. Sanders’ event, hosted by the Black Legislative Caucus, will focus on education, criminal justice reform and the record expungement. He is holding a rally Friday in Greenville. Harris’ trip weekend swing also includes headlining an event with the Orangeburg County Democratic Party and a meeting with faith and community leaders in Holly Hill. She then attends Easter Sunday church service at Bible Way Church in Columbia.